When you experience the painful and disappointing moments in your life, nothing is worse than having a bad negative thought and emotions. It is important to learn the ways on how to train your brain to think positive for happiness in order to enjoy a fulfilling life despite challenges and difficulties. Living a happy life does not mean you deny the problems or difficulties. It actually refers the way on how to face the challenges and failures with a positive attitude. Many researchers have shown that people who have an optimistic thought will improve their health. Particularly, positive and optimistic attitude will influence their immune system, their blood pressure and cholesterol level in the good way. It is said that happy person will have less chance of developing chronic pain or inflammation than others who have pessimistic attitude. In Carnegie Melon University, a professional had an experiment with participant of 276 adults volunteers who were asked to be exposed to a cold virus. It is not surprising to see that adults with negative though were 3 times as likely to be affected. It also shows that negative people who do not build a large relationship in the society were 4.2% as likely to get disease. However, the fact that you are the optimistic person can not exist forever. Many scientists have found that the positive patterns can easily change because of neuroplasticity. Neuroplasticity is referred to the way that your brain could make some changes due to new ideas, thoughts and experiences. Therefore, it is important to know the ways on how to train your brain to think positive for happiness. As the author of vkool.com, I would like to introduce some necessary tips and exercise to become a happy person. This first tip on how to train your brain for happiness is to show your daily gratitude. Be ready with a pen, a telephone with a gratitude app. You should do this exercise after you wake up in the morning. Write down at least 3 things that you have gratitude. It can be any points in your journey or your path. You can think about your family, your career or your friends. No matter how small things are, they should deserve a happy and thank you note. When you pay attention on gratitude, your happiness will expand. Maybe for some people, it is difficult to think positive with gratitude but you do not need to decide immediately. You just think about something simple which happened. And it is important to remember that not many people have your luck and opportunities. It is the fact that media, including movies, stories, games and music, make a huge influence on your emotion and thought. A horror movies, violent stories or doomed music will make you pessimistic and negative. Therefore, as the tip on how to train your brain to think positive, you need to consume more good media every day. Some scientists have shown that the more violent news coverage people watch, the more chance they will cause some physical reactions on their body as the way they see the carnage. Avoiding negative media and reaching positive one are the tips you should not ignore to be a happy person. I suggest that you read funny stories, positive quotes and watch motivative movies that can level up your emotion. It is believed that if you stay on your seat and do nothing at all, you will feel tired and asleep. Asking how to train your brain, you need to train your physical body. I mean that when you are set yourself with a lot of active activities and successful busy schedule, your negative emotion will naturally disappear. All we know that a good diet which has healthy foods, water and a deep sleep can make impact on your emotion and your body. A good diet will keep you from constipation. However, it is the different issue. According a study, deficiency of vitamins, proteins and fats can easily lead to stress, depression and other mental problems as well as psychological disorder. Talking about sleep, it is proven that the good sleep is also as important as a healthy diet. 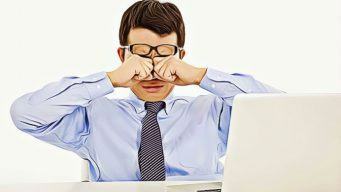 Sleep deprivation can make people irritable, aggressive and hostile. A habit of sleeping early in the evening will make you feel happier, more refreshed and friendlier for the next day. It is recommended that having an eight-hour sleep is the best idea. So, change your habit and your diet, you can see the big difference. Sometimes people realize that when they are willing to help others, they feel positive and happy as well. People who are miserable and unlucky need your help the most. When someone is depressed, please do not avoid giving your hand to shine their life. You will know that the positive thought and energy will spread to you tenfold. One of the greatest ways on how to train your body for happiness is to know that you are doing what you like. If you are doing a boring job, just quit and change your career. It is time to pursue your dream and passion. By following the positive changes in your life, you will change the way you see the world. A happy life is doing what you live, being active and having great gratitude. Believe me if you want to look for the ways on how to train your brain to think positive for happiness. I hope that I will find this article helpful. If you want to share your opinion, please leave them bellow. I will answer you soon.